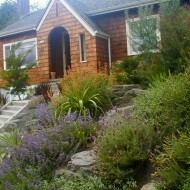 Xeriscape with Boulders – Creative Landscapes, Inc. 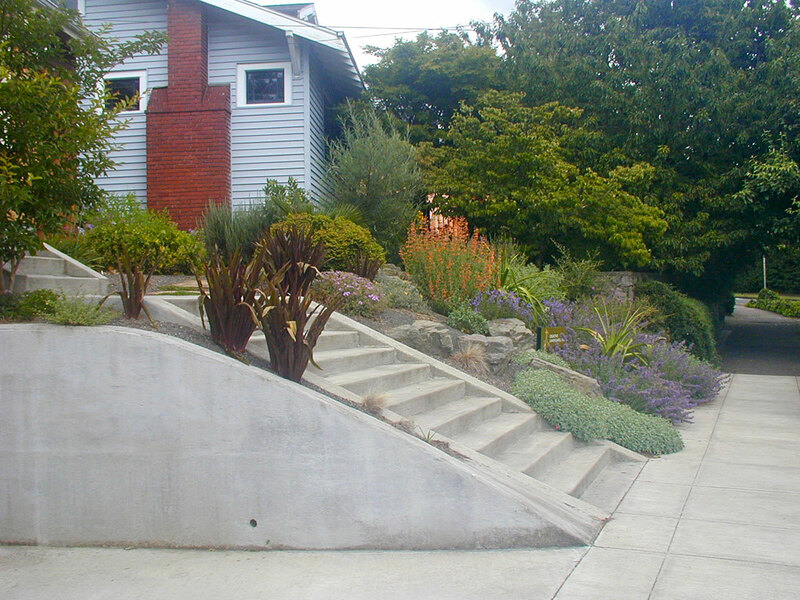 The bold choice to remove a wall led to a restoration of a garden slope that lent itself to improved drainage and a more interesting setting for the plants to be appreciated in. 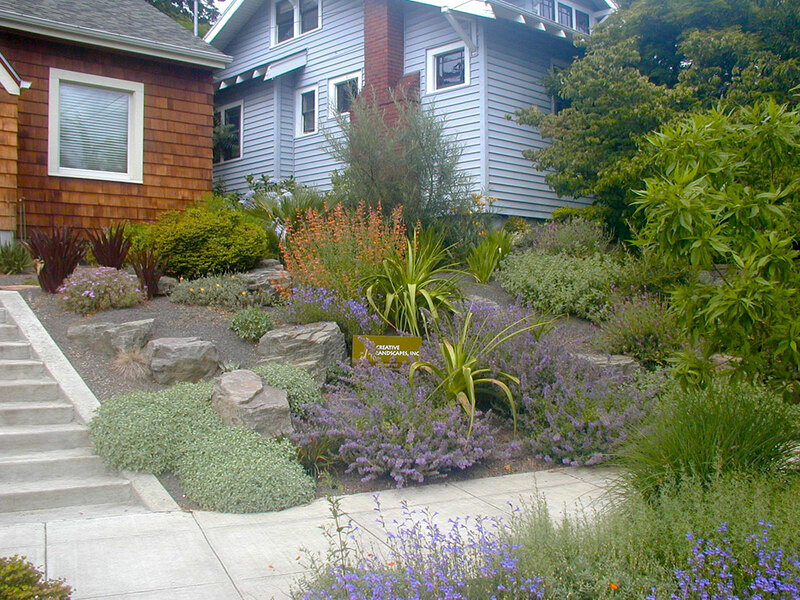 This drought-tolerant design is a great low maintenance option and only needs watering 7-8 times through the summer. 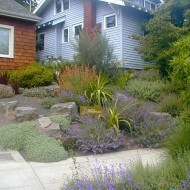 Xeriscape gardens use environmental friendly options that encompass various methods for minimizing the need for water. 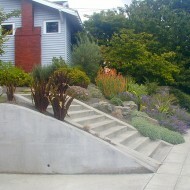 This can ideal for our Pacific Northwest summer months when keeping your greenery green can be a challenge. 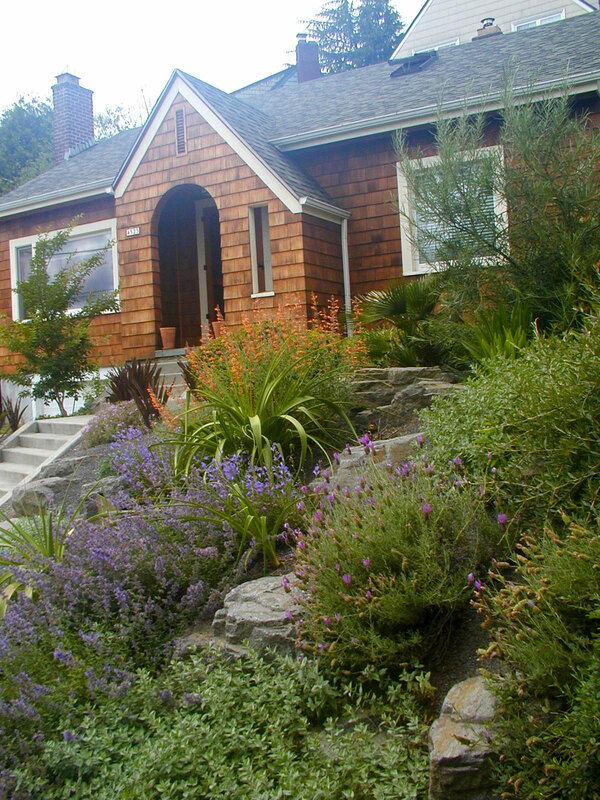 An added perk to this design is the client is able to spend less time taking care of the garden, and more time enjoying it.